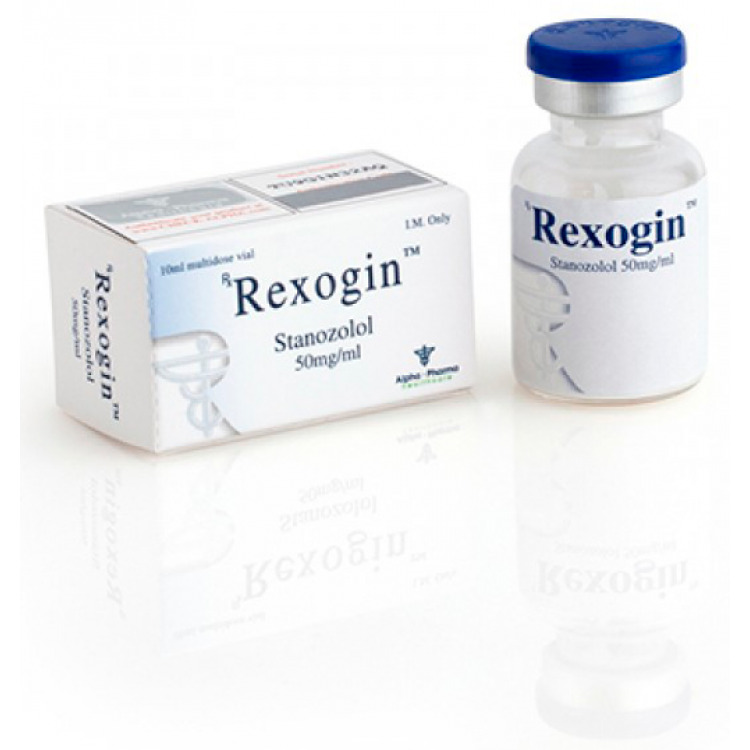 Rexogin (vial) by Alpha Pharma is an injectable steroid which contains 50mg per ML of stanozolol suspended in water. 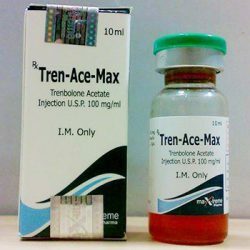 Some bodybuilders claim that the injectable version of this steroid yields better results than does the oral version. The water base of this substance means that it gets into the system very quickly, therefore requiring frequent injections to keep blood levels stable and consistent. Bodybuilders often inject Rexogin (vial) everyday for best results. 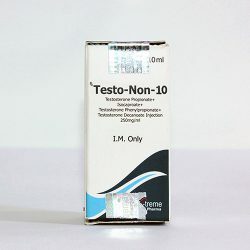 Winstrol, as it is most popular referred to, is one of the most popular steroids in use today. 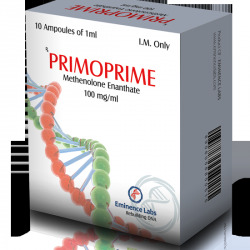 This drug has very low androgenic properties and very high anabolic properties. Rexogin (vial) does not have the ability to aromatize and therefore will not cause any water bloat. 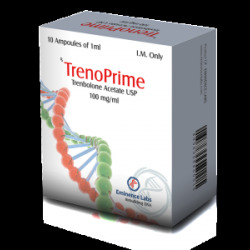 This has made this steroid very popular with bodybuilders in the cutting phase of their training. Users of winstrol often report good gains in strength, vascularity, and muscle tone. 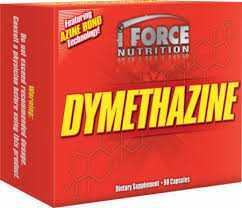 People often report very intense muscle “pumps” during workouts when using this compound. 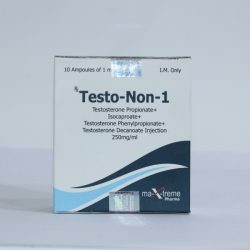 Some studies have also shown that winstrol has estrogen and progesterone blocking abilities, making it a good choice to use with other steroids such as Testosterone, Nandrolone, or Trenbolone. 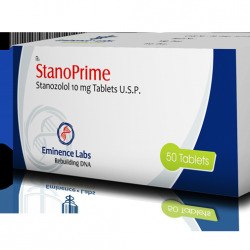 Winstrol also does a very good job of reducing the amount of SHBG in the body, thus allowing other steroids to be much more abundant in their free state in the body. Due to this fact, Rexogin (vial) makes a great addition to all cycles. 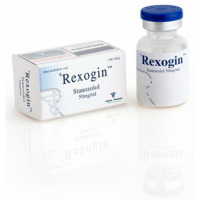 Due to its low androgenic activity, Rexogin (vial) is a very good choice for women bodybuilders. 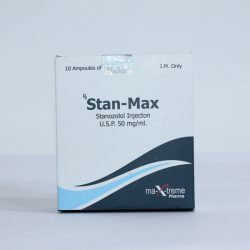 Males typically use Rexogin (vial) in dosages of 50-100mgs a day for a period of 6-8 weeks. 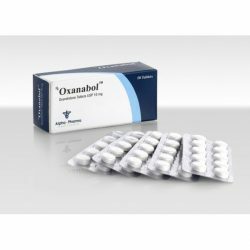 5-10mg a day for a period of 4-6 weeks is the normal dosage range for women. You can get rapid effect in workouts after buying Rexogin (vial) by credit card or via Paypal. 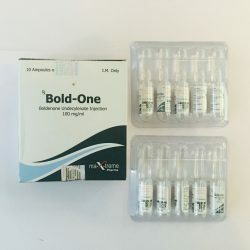 Enjoy buying Rexogin (vial) from our steroid store. We are looking forward to make you our loyal customer.